Welcome Your Pain | Cliff Heegel Ph.D. 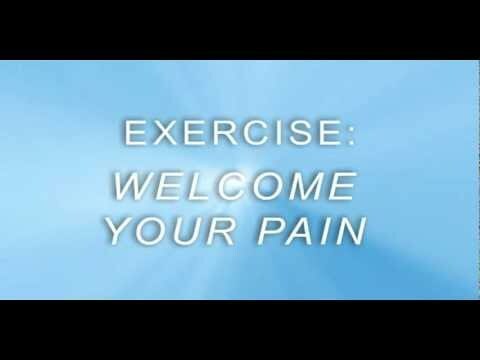 This is a very short video called “Welcome Your Pain.” Give it a try and let me know your experience. Does welcoming your pain sound crazy to you? Well, here’s the deal: in the world of the mind, that which we resist, persists. When we try to deny or try to fight against our pain, we actually make it worse and we make it stick around longer. So one way to help pain move along naturally is to accept it as it is, with kind attention. Now- acceptance doesn’t mean we like it or want it, it just means we acknowledge the fact that our pain is here, for better or for worse. Interesting. It’s like putting a spotlight on the elephant in the room that I’m pretending isn’t there. And then, I can accept it’s there and move onward (acceptance is sometimes hard – even if I know I don’t have to like it). I know I have a habit of wanting to suppress things which begets suffering and let’s it fester. I need to keep practicing. I got that suffering habit from practicing too. Notice….. Habits take time to build AND to break. I don’t know if pain is habit, it is the problem. I think once full acceptance of the facts, the stats, ‘reality’ occurs and we welcome the pain a habit or coping mechanism can be ‘changed’ without a lot of time. I hope so. I know that environment is crucial. Whom you trust with your pain is essential, as well as letting the right people in. Pride and pain can’t co-exist. Dignity and pain, yes.